On October 23rd, 2018, TeamTec and Kurita Water Industries signed a cooperation agreement for the distribution of Kurita Ballast Water Management System (BWMS). Kurita BWMS is a filter-free treatment system disinfecting the ballast water by dosing sodium hypochlorite. The system is IMO G8/G9 approved, and currently in the process of obtaining both revised G8 approval and USCG approval. Under the terms of the agreement, TeamTec will provide worldwide sales and marketing of Kurita BWMS, as well as handling project execution, delivery and Lifecycle Service. TeamTec, already well-established with TeamTec Oceansaver® BWTS, sees great potential in the market for Kurita BWMS. TeamTec AS is one of the world leaders in manufacturing and sales of marine waste incinerators and ejectors to the maritime industry, in addition to supplying TeamTec Oceansaver® BWTS. 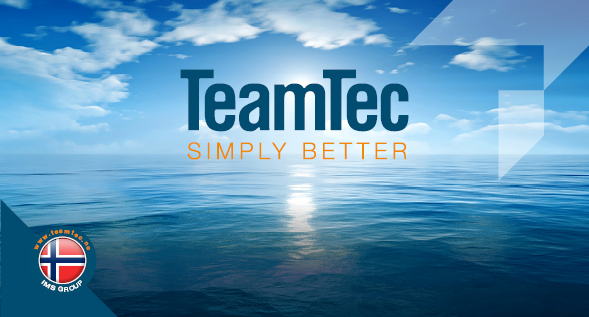 TeamTec has presence in all major shipbuilding markets and has established a global sales and service organization. The company is a member of IMS group and a very well recognized name in the maritime industry. TeamTec AS was founded in 1984 and the headquarter is located in Tvedestrand, Norway. Kurita Group aims to offer comprehensive solutions by integrating diverse technologies, products and services in its three operating fields of water treatment chemicals, water treatment facilities and maintenance services with a view to satisfying customer needs of every kind. Although Kurita has been appreciated by users through supply of boiler chemicals, cooling system chemicals, seawater desalination equipment and beverage equipment, Kurita now intends to expand its business in the marine field by introducing Kurita Ballast Water Management System under tight collaboration with TeamTec.